AACHI BAJJI BONDA POWDER, can be served as an evening snack for your people at home. It is tasty and can be prepared quickly. 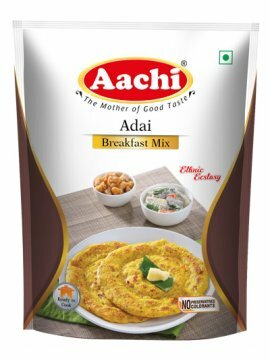 It contains Gram flour, Rice flour, Chilli Powder, Salt, Sodium Bi-carbonate and compounded Asafoetida.